Enemy to those who make him an enemy, friend to those who have no friend. In the the world of the hard boiled detective, Boston Blackie comes comes real close to fitting in, but he just doesn't quite. Of course Blackie isnt a detective or private eye, he is a reformed safe cracker and constantly good natured irritant to the cops! A real Hard Boiled Detective solves the mystery that the cops think he is guilty of, and manages to make the cops look foolish while he does it. So does Boston Blackie. At some point, the bad guys get a chance to rough up the Hard Boiled Detective, and he takes it with a laugh. Boston Blackie takes a beating with the best of them. The pretty girls can't resist a Hard Boiled Detective, even if they know he is bad for them. The girls never even consider that Blackie might not be good for them. Hard boiled detective lives in the dark world of noir fiction. Boston Blackie's world seems pretty bright. Maybe it is because of Blackie's original radio sponsor, Rinso. 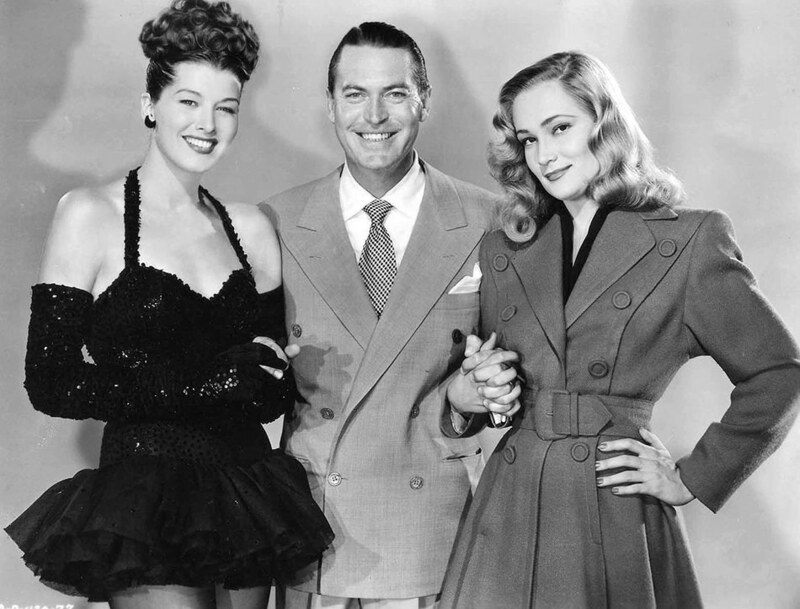 The Red network adopted the character and the series as a summer replacement for Amos 'n' Andy. The Boston Blackie character first appeared in The American Magazine in 1914, well before the Hard Boiled crowd took over the pages of The Black Mask. Hollywood wasted little time bringing the character to the screen in a number of silent and talking features. 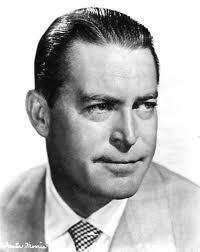 Columbia had the most success when they gave the part to Chester Morris. Morris brought a lot of personal charm to the character, and carried it to the radio. The program has a definite formula; someone, usually a pretty girl, gets in trouble, and someone winds up dead, and Blackie gets framed for it. Blackie's friend and nemesis on the police force, Inspector Farraday, is only too happy to get Blackie into custody, but there is no way he can hold Blackie, a reformed safe-cracker. Then Blackie solves the mystery, turns the bad guys over to Inspector Farraday, and gets the girl if she has survived this long. And Harlow Wilcox reminds us that Rinso paid for the whole thing. 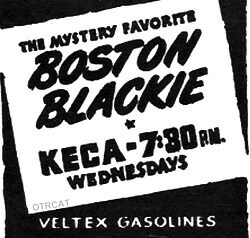 In 1946, ZIV Syndication took over the program, casting Richard Kollmar as Blackie. With ZIV, Blackie picks up a steady love interest in Mary Wesley, played by Jan Miner. ZIV production values are always high, and it shows in Boston Blackie. 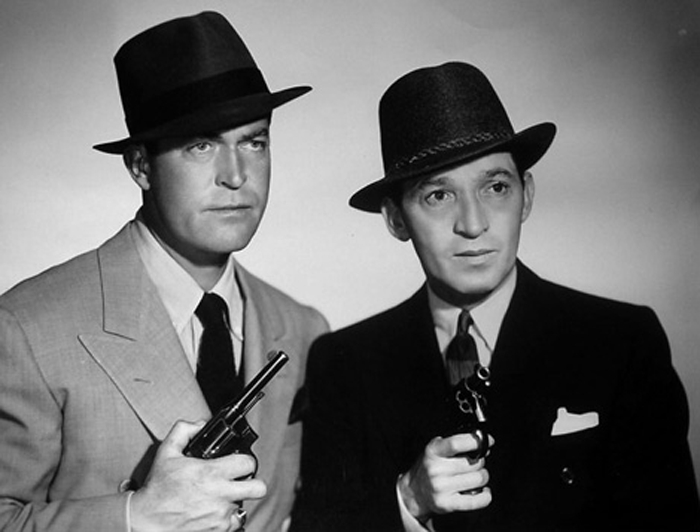 For more hard hitting detective action, don't forget to call on some of the most popular detectives: Phillip Marlowe, Richard Diamond, Let George Do It, The Saint,and The Falcon. Can’t wait to hear Boston Blackie. Have been watching the movies on TCM. Yup, I love all the recordings!